Without you! From transporation costs and investigative services to medical expenses and housing, your funds enable us to help more and more girls be set free on the road to a new life. 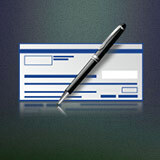 Payment options abound and thank you for helping!! 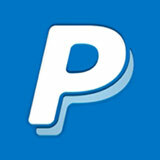 One of the more popular giving methods, Paypal enables you to donate funds quickly online. P.O Box 71238, Riverside, CA 92513. 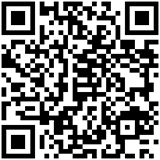 You can donate to us with Bitcoin directly or use our button. Thank you very much for wanting to help Run 2 Rescue!! Run 2 Rescue is a registered 501(c)(3) non-profit and your tax-deductible donation will help us REACH, RESCUE and RESTORE young women who have been trapped in the degrading cycle of human trafficking. The expenses we incur that are involved in these operations can be substantial yet we do NOT require payment for any of our services from victims or their families. Run 2 Rescue is supported only by the generous gifts we receive from friends like you. Since your donation is tax deductible, when you provide your contact details, we will send you a year end statement for the total amount given during each calendar year. We take your privacy seriously and will never sell or misuse your information. However, if you prefer to give anonymously, you can donate via Bitcoin. Whatever method you choose, on behalf of the girls and the entire team of Run 2 Rescue, thank you very much and may God bless you abundantly!! Also, we are looking for 10-20 acres of land for a girls ranch called "Gateway of Hope". If you would like to help us complete that project, please let us know. Again, many thanks and God bless! !